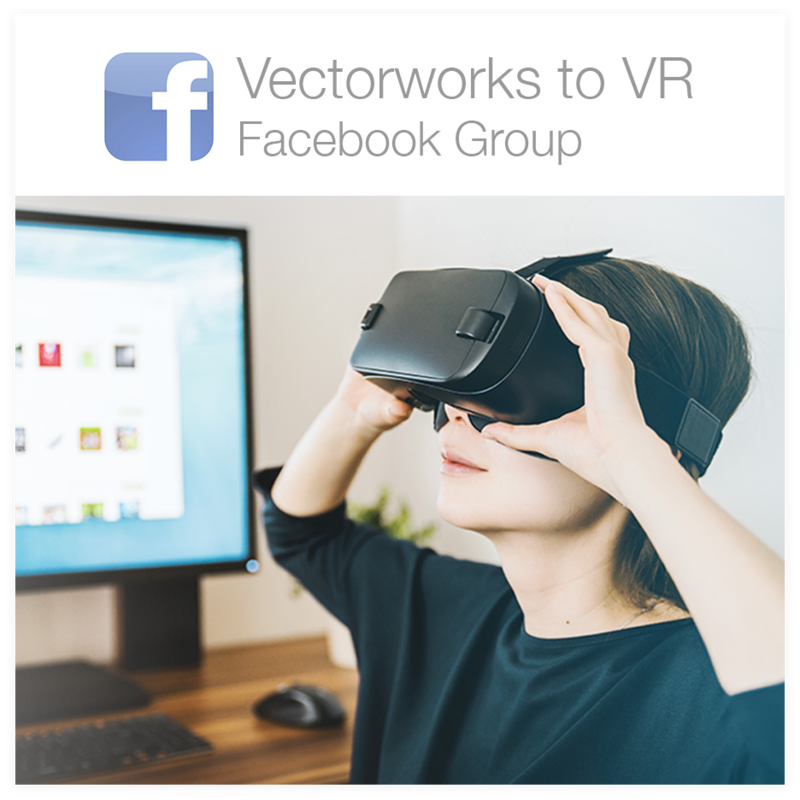 Speed up your Vectorworks workflow and increase realism with a custom renderworks style & panoramic background. Renderworks styles are ideal for projects that have multiple camera viewports sharing the same render settings. 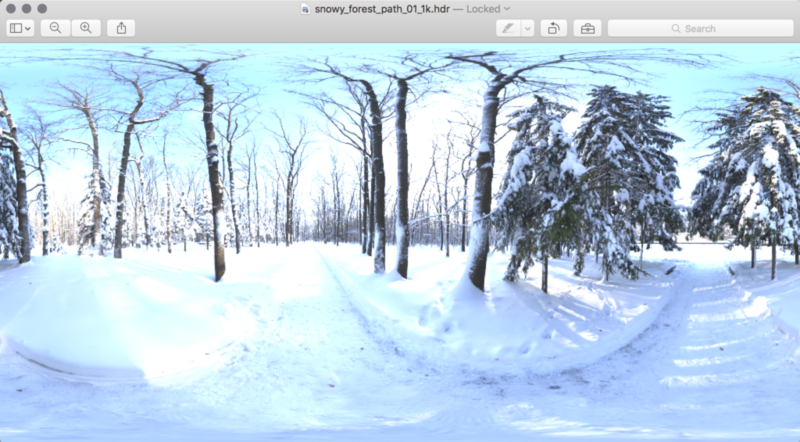 You can update a renderworks style from any given camera viewport and the change will occur project wide. This is a huge time saver considering the alternative of manually updating each viewport. 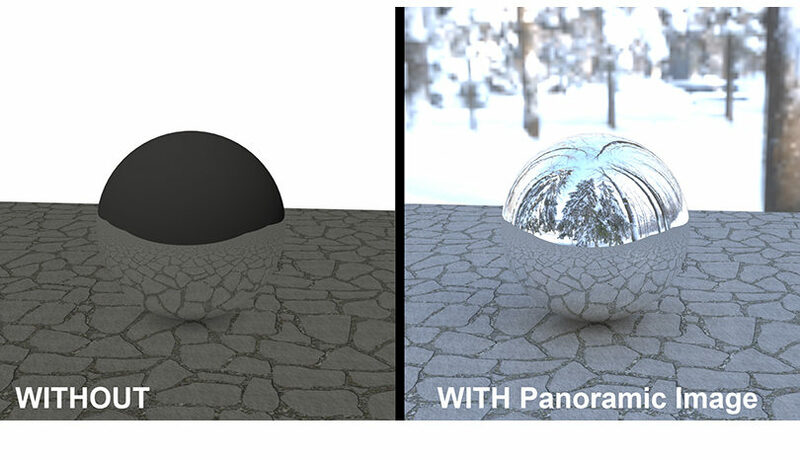 Renderworks styles also offer the opportunity to create custom environmental reflections by applying a panoramic background image of your choosing. Depending on your subject matter, these background images can take the realism of a scene to a whole other level. And the application process couldn’t be easier! Open Resource Manager Window. Go to main nav bar> Window> Palettes> and make sure there is a check mark next to Resource Manager. 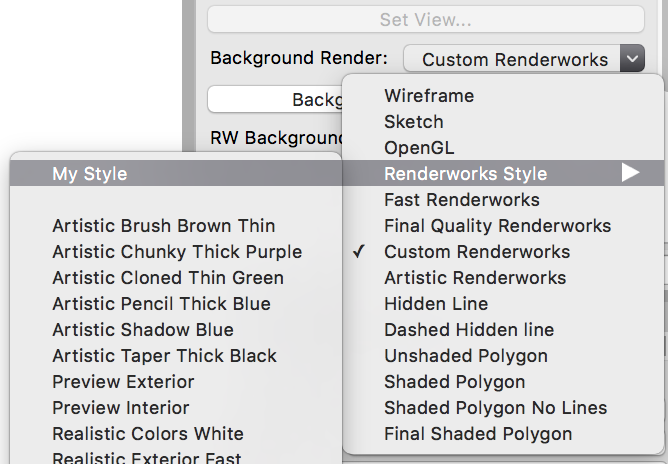 With the open file selected, click the lower left button to create New Resource> Renderworks Style. Keep it as ‘realistic’ type. 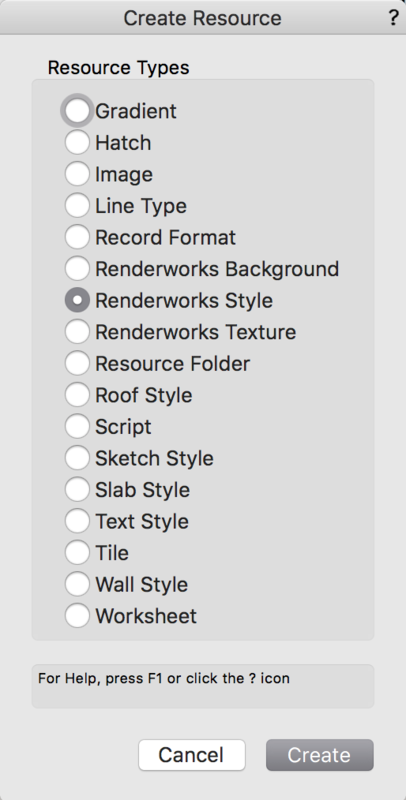 Feel free to click into each of the five tabs at the top to define the characterisitics of your renderworks style, but know that is it very easy to change these later via a camera viewport’s object info. To apply the renderworks textures, create a sheet layer camera viewport and change the background render style from “Wireframe” to “Renderworks Style”> [My Style]. With your renderworks style applied, click into ‘Lighting Options’ in the object info. You will see it is now showing the same menu of options that we saw upon creation of the style in Resource Manager. Note that if you make a change in Lighting Options from a viewport it will update the style project wide. Create a new Renderworks Background using the Resource Manager. Select “Panoramic Image” from the dropdown box and rename as desired. I am calling mine ‘Reflections’. 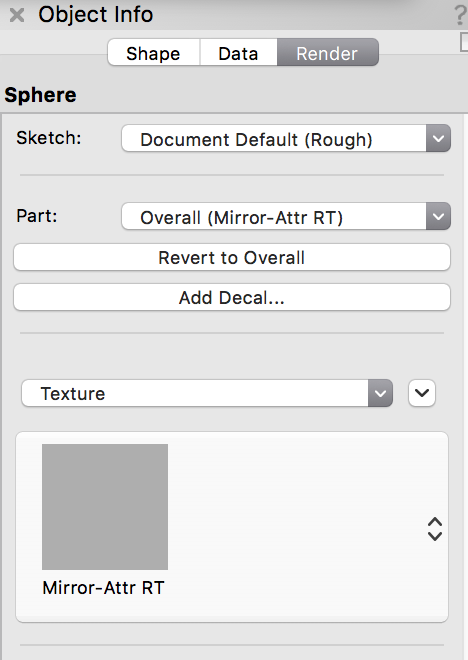 You will see a thumbnail of your background on a sphere if the image uploaded correctly. A solid yellow square indicates the image did not import correctly and/or is not an acceptable format. Once you have created the background, either edit your custom Renderworks Style directly from the Resource Manager or via any camera viewport’s Lighting Options in object info. 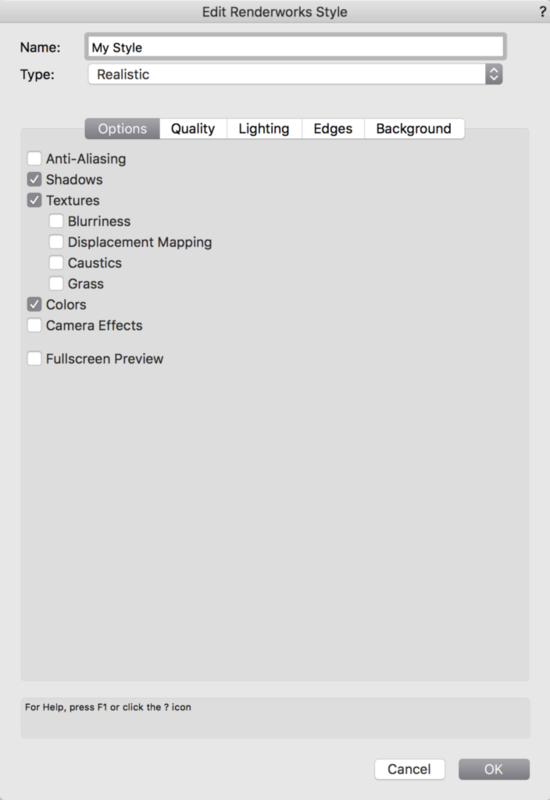 Go into the ‘Background’ & ‘Lighting’ tabs to apply your newly created renderworks background. 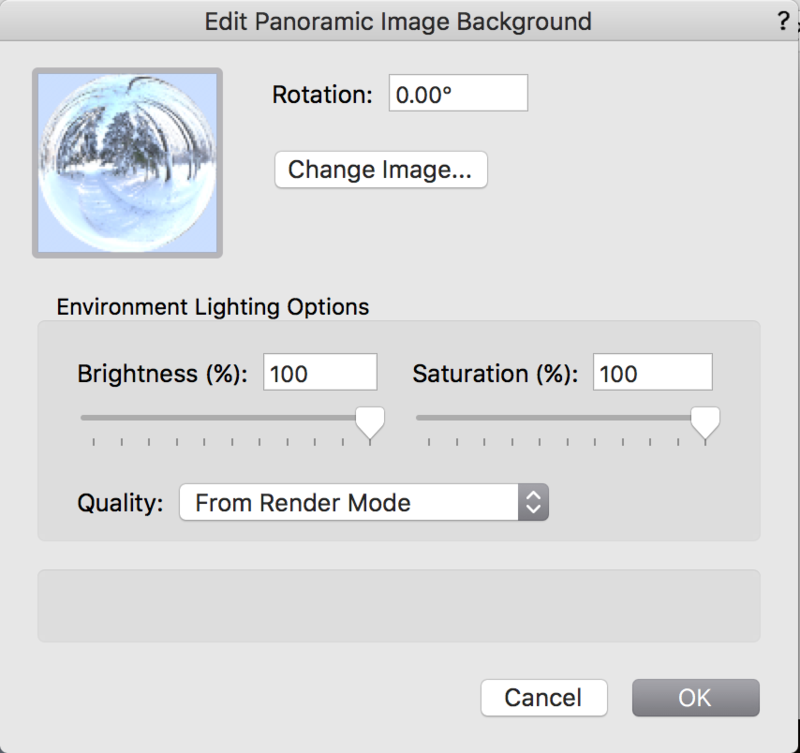 I have selected my panoramic image “Reflections” as the Renderworks Background and set my Environmental Lighting to “From Current Background”. And there you have it! 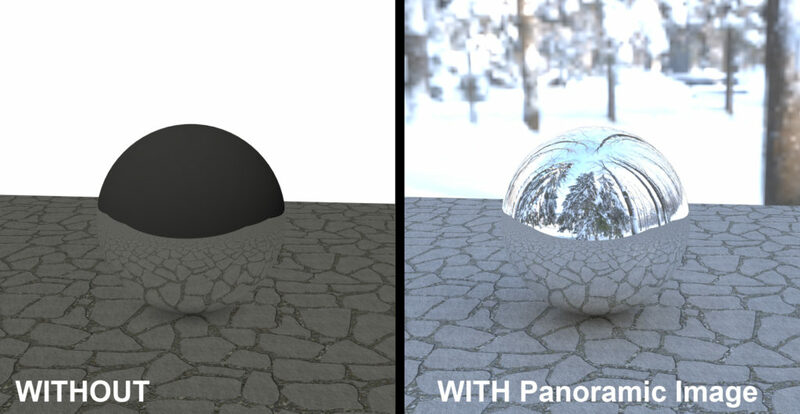 Adding a panoramic image as a Renderworks Background is a real game changer, especially if your scene uses reflective textures. I hope this information will shorten your time spent rendering. One of the goals of ScenicMentor.com is to help designers learn faster, giving them more time to create and more easily share their ideas with the world!